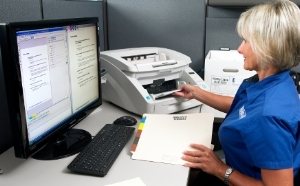 Try Our Document Scanning Services For Free. Want to try document scanning before you buy a software system? Check out our free document scanning offer. We will scan, index, and upload a box of your records, so you can test out our document scanning services and backfile scanning conversions will help you create a paperless office environment. You can contact us by phone 800-699-1191 for more information about our Dcoument Scanning Services. Merging to a paperless office involves a lot of steps and is extraordinarily time consuming, getting started with document scanning and backfile scanning conversions should start with your active files only as you are using them. You can start with a box of files a week and increase scanning to several boxes a month depending on how active your files are. As you have your files scanned based on usage, you will grow your paperless office environment without having to scan everything from scratch. On site and off site document scanning services. 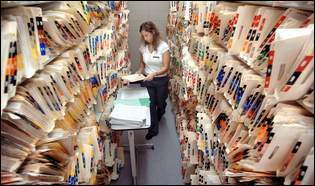 FREE off site storage of your file boxes at our office while we scan your files. Want reasons to hire us for your document scanning projects? You wont need to hire extra personnel to scan your paper. You wont have to purchase and maintain expensive equipment. We offer multiple scalable imaging plans to meet your budget requirements.